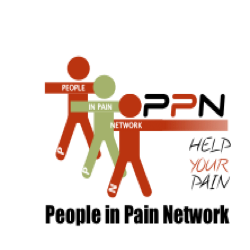 PIPN will work to establish local level chronic pain support groups through actively recruiting people interested in being a support group member or in leading a support group. To manage pain, people need to adjust their mind, body, spirit and environment. PIPN feels that an important way to work towards this is to develop peer support groups and to provide leadership training and ongoing support. This will directly improve the quality, effectiveness and benefits of the peer support network. Indirectly, public awareness will improve and some of the stigma that surrounds persistent pain may disappear. Families and friends will be more understanding and more encouraging. For people living with pain this will lead to better quality of life and hope and confidence for the future. In order to move forward and improve the peer led support groups throughout BC, "Pain BC" and "People in Pain Network" have created a year-long facilitation training program for support group leaders. PIPN is currently recruiting new leaders in a number of BC communities. The facilitation training program would include a series of education and networking sessions for up to 16 peer support group leaders from communities around the province. •	Increased confidence among peer support group leaders.